65 Gal. Compost Tumbler is rated 3.9 out of 5 by 193. 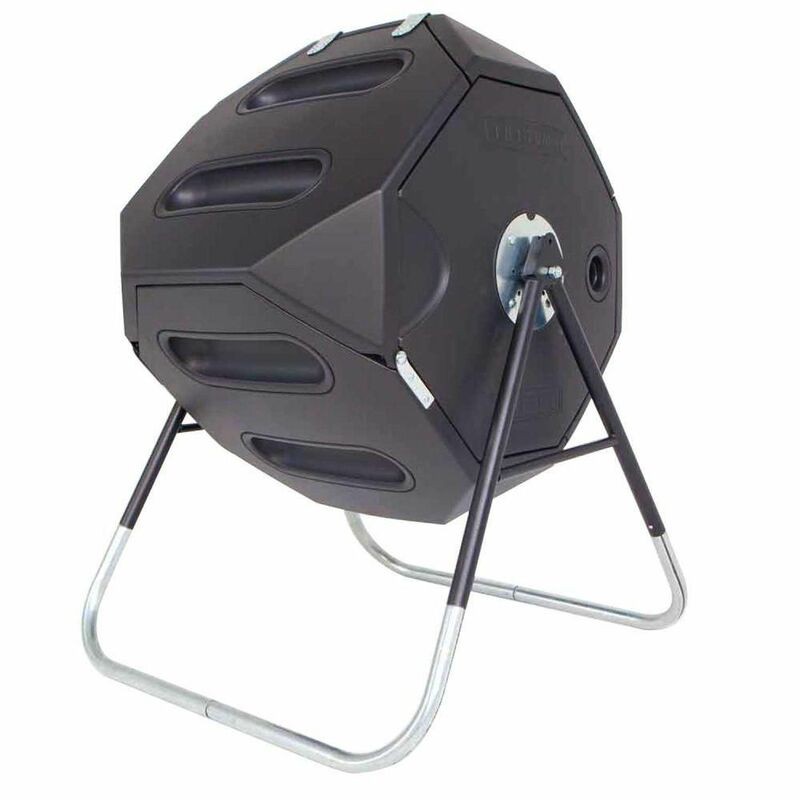 Rated 5 out of 5 by HomeDepotCustomer from Wonderful tumbling composter. It takes two people to assemble but... Wonderful tumbling composter. It takes two people to assemble but well worth it. Can’t wait for first batch of compost. Rated 4 out of 5 by Tim from This is a nice sturdy unit and functions well. A... This is a nice sturdy unit and functions well. A word of warning, it takes 1 to 2 hours to assemble. There are 50+ holes to drill. You also have to have long arms to do the assembly, because you have to put nuts on the back of the screws to ensure the fastener is secure. Rated 4 out of 5 by Fred from Easy to assemble but need two people. Cannot fit through standard 32" door so metal leg extensi... Easy to assemble but need two people. Cannot fit through standard 32" door so metal leg extensions need to be removed or assembly must be done outside. But works great! Rated 5 out of 5 by Sam from Assembly Was involved but instructions made it fairly easy to... Assembly Was involved but instructions made it fairly easy to assemble. The Tumblr is well-made and very sturdy. It holds a lot of scraps leaves and other assorted waste. I highly recommend this product.